Many in the hospitality industry seem to be excited about the prospect of the ‘personalised hotel room’ – but is it all it’s cracked up to be? The idea is quite simple – technology now allows hotels to develop a great understanding of its individual guests and, as a result, it’s possible for them to stock a room with a guests favourite coffee, deliver your favourite newspaper and even order you the same breakfast. Practically though, is it realistic for most hotels to offer this? Many have set suppliers – what if they can’t get all the products that are required? Will it be prohibitive for budget hotels to offer this? Is it also what guests want? 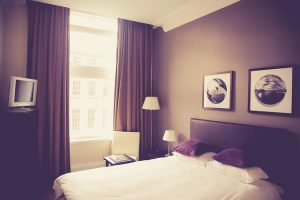 Many who book hotels do so for the fact of the features of the hotel itself – its character – so would personalisation make it less unique and as such, less attractive to the potential guest? More and more data is out there about our habits – for example, we dread to think how much data for example Tesco has about our favourite products and buying habits. There is an increasing range of hotel management software programmes out there and most of these have guest management options (known as GEM), so producing a profile for each guest is more possible than it has been ever before. Whilst this would impress some guests, equally others may not like it. Just because it’s an up and coming trend, it doesn’t mean guests will embrace it. This is a topic that is likely to develop further as hotels look for ever increasing unique selling points.